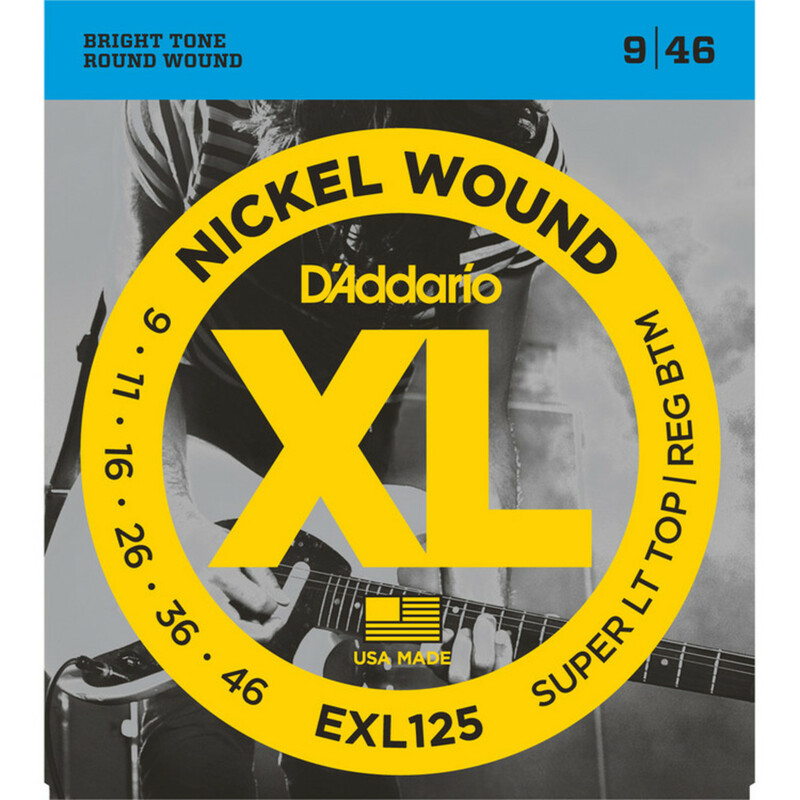 EXL125 is D'Addario's best selling hybrid set - a set with strong fundamental low end with lots of projection, but with super flexibility on the high strings. The EXL125s consist of a hexagonally shaped, high carbon steel core. 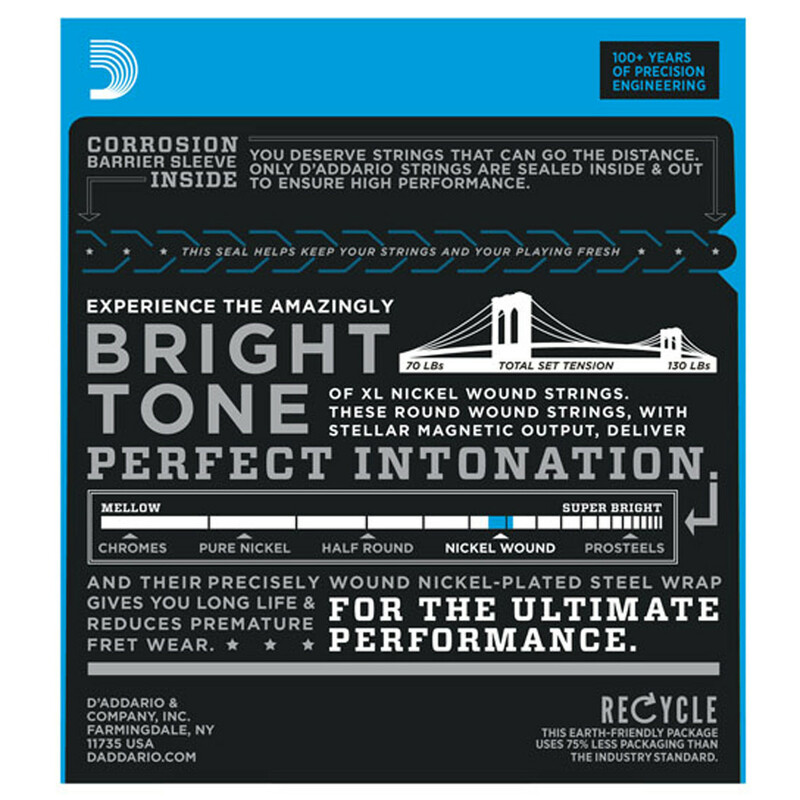 Onto this is precision wound a layer of nickelplated steel, giving these strings a long lasting, distinctive bright tone with excellent intonation. 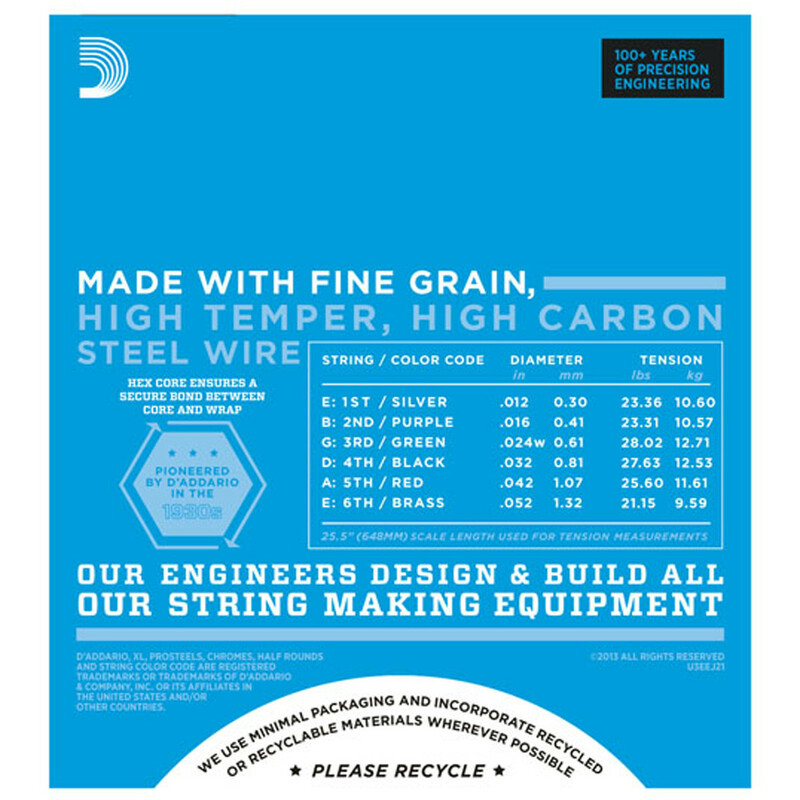 Ideal for the widest variety of guitars and musical styles.